Rated 5 out of 5 by Carib122 from LOVED this game - more , more like this! It's good to see BF staff in the credits again lately....Really good surprises for a good scary BOO. I love October when all the spooky games are released but this one is definitely my favorite....so far...got a little behind but this one is super spooky fun!! Well done! Rated 5 out of 5 by Sward81333 from This game rocks! I don't rate many games but this game rocks. It was suspenseful and shocking -- a great Hallowe'en tale to be played anytime. Good graphics and challenging games. Rated 5 out of 5 by kimberlystat from So fun! I loved this game! I would definitely recommend it. Rated 5 out of 5 by Cherubabies from Excellent! A really enjoyable Game with excellent very high quality Graphics. The Storyline was OK, could have been spookier. Very happy with this purchase! Rated 5 out of 5 by Marja67 from Look It Up In The Black Book. Love this one. Great graphics and background sounds. Get achievements. Look for figurines and morphs. I'm going to play it a 2nd time! Rated 5 out of 5 by MaryCricket from A Creepy Halloween Story This game is a creepy Halloween story, but I loved it, I could not stop playing it. I had to find out what happen in the end and I am glad I did. Loved collecting all the collectibles. I liked everything about this game. Has lots of pumpkins and skulls in almost all the scenes. The bonus chapter was not as creepy but it was great. 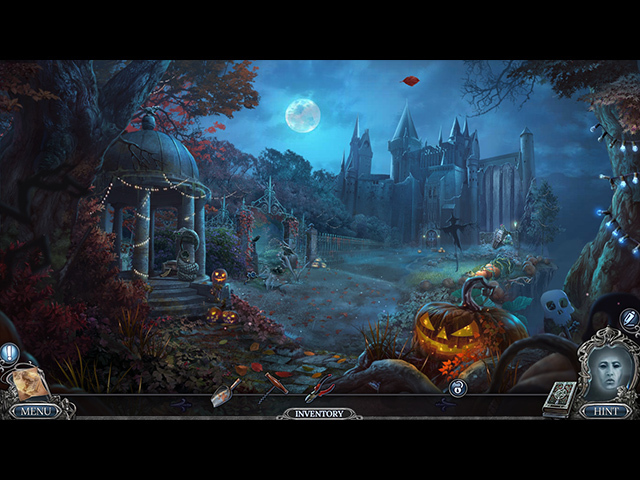 It's a good game to play at Halloween time. 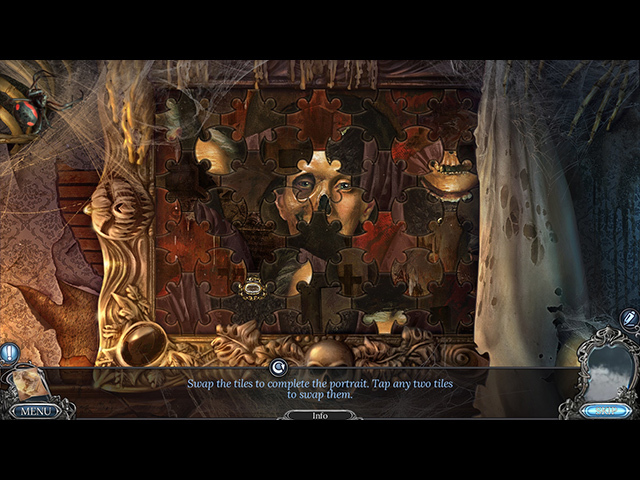 Rated 5 out of 5 by jazzl2010 from GREAT HALLOWEEN GAME Really enjoyed this game...loved the graphics...had some of the puzzle games I liked Good story...right amount of HOs.. Rated 5 out of 5 by matai9 from Witch pursuit opens portal into Halloween dreamland The Halloween fantasy that unfolds in the search for your sister is a dream for fans of this holiday and all of its symbols. Wraiths float from floorboards, jack-o-lanterns glow and flicker, and bats flap their wings in a flurry of activity. Standout scenes: A paint by numbers challenge that is anything but standard. The numbered sections morph as the player quickly dabs the brush in the corresponding paint to complete the image. 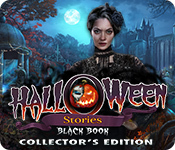 A black book collected early on in the game will help you with clues to several puzzles. I loved the HOP where you look at a single rune type symbol, and each mannequin turns around with a freaky surprise. The bonus chapter offers up just as much spooky fun with a scarecrow battle. You match at least three Halloween symbols such as a cauldron, broom and pumpkin by drawing a line between them to defeat the creepy scarecrow and advance along into the world of dreams. I didn't locate all the morphing objects, which are challenging to find, but I found the newspaper fragments which make up four front pages that are fun to read. It's really more of a challenge just to see if you can find them all. 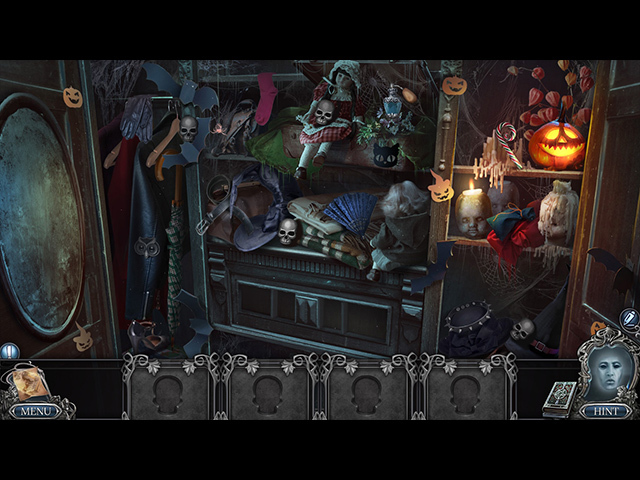 The pumpkin figures are scattered throughout the game and are animated, all as pumpkins tricked out as different Halloween characters. Favorites are the vampire pumpkin sipping a blood-filled goblet, a cackling witch and stone gargoyle with flapping wings. So much detail and attention in this game. Love it and will probably play it again around Halloween! Rated 5 out of 5 by fuzo from If you like Horror games you'll love this game What a horrific game I just loved playing it. The style and the design very clear and crisp. I am glad the gamers brightened the graphics since its a horror game usually they make it so dark and dull you can hardly see what your looking for. Puzzles are interesting and even the HO very clear. I enjoyed the game although a couple of time my game froze I had to switch it off from the main and had switch on again. Keep up the great gaming work and please keep coming with games like this for us to enjoy Thank you BIG FISH.